Nokia phones might have been out of the phone industry but its location services is still upfront. A couple of weeks ago Here Maps was only available for selected Android Samsung Galaxy devices out in the market. 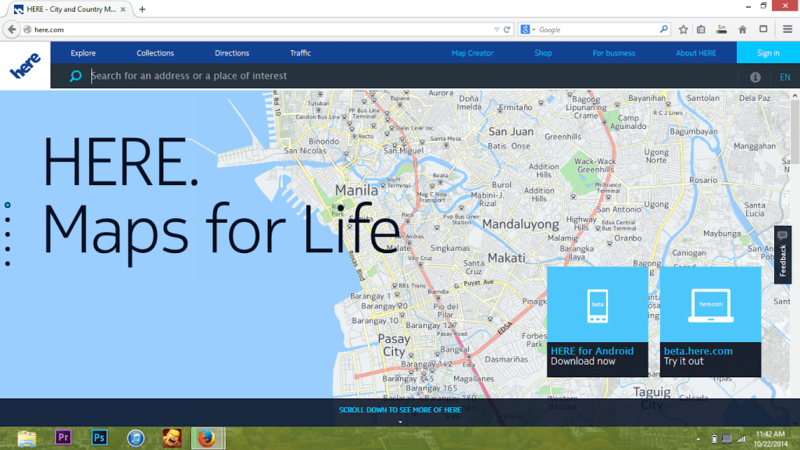 Today Here Maps is made available for all devices via its beta version. Take note that this application still has some bugs in it. The stable version will be released later this year. You can download the apk file here and if you’re an iOS user you can still use the service via www.here.com with there web application well functioning but requires interent connection. Tell us what you think about Here Maps on the comments below.